Thanks to Peter L鰂 for the pictures of the CLD-D925. 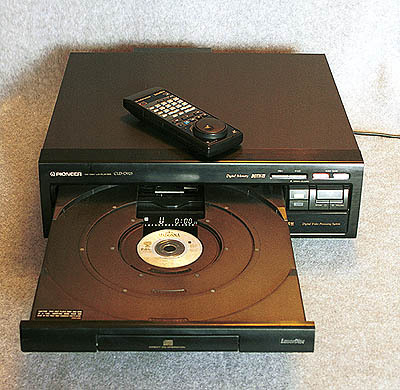 Also see the Pioneer CLD-D790 (North American Version of this player). 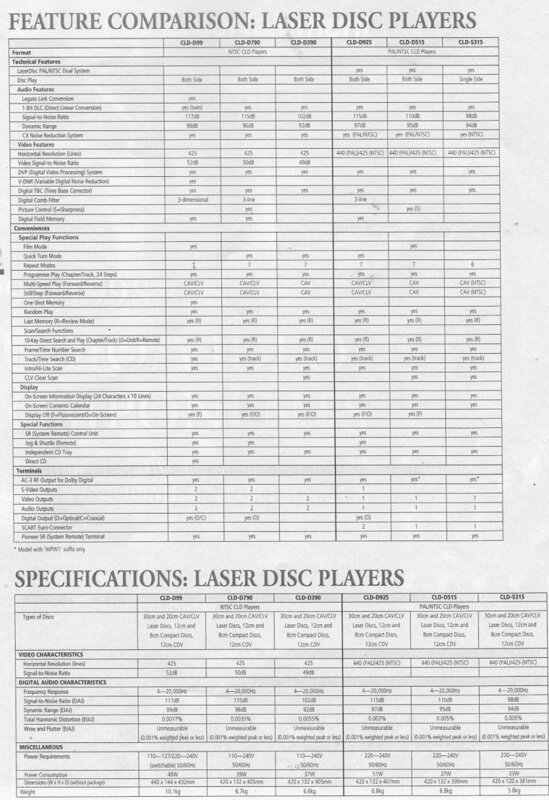 The archive site has a copy of the Operation Manual for the CLD-D925. Please see the manuals page. Dual System (PAL / NTSC), 5-Disc Compatibility (CD, CDV, LD), Both-Side Play (LD), 1-Bit DLC with Pulseflow D/A Converter, Analogue Sound Reproduction (PAL / NTSC), Horizontal Resolution - PAL / NTSC 440 / 425 lines, DVP (Digital Video Processing), High-Quality Circuits (3-Line Digital Comb Filter & Noise Reduction), 3-LineDigital Comb Filter, Digital Field Memory (PAL & NTSC), Quick Turn, Repeat Mode 7, Programm Play (Chapter / Track 24 Steps), Multi-Speed Play (Forward / Reverse) (CAV / CLV / CDV), Still / Step Play (Forward / Reverse) (CAV / CLV / CDV), Random Play, ntro / Hi-Lite Scan, Multilingual On-Screen Display, R (System Remote) Control Unit, Display Off (FL & On-Screen Display, Independent CD Tray, Last Memory Review mode, S-Video Inputs 1, Dolby Digital RF out (AC-3), In / Out Terminal for SR (System Remote) Control, Video Output 1, Audio Output 1, SCART Euro-Connector 2, Digital Output Optical. 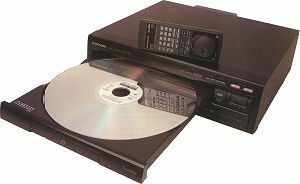 Since Its debut in 1994, Pioneer's CLD-2950 has been widely regarded as perhaps the best PAL/NTSC laser disc player available. For �0 it offered superlative picture quality and access to the vast resources of the American NTSC laser disc catalogue. But for some that still isn't enough. 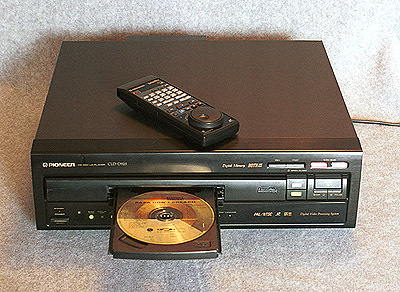 Exotic features such as a digital frame store, grabbing still images even from CLV encoded discs, and AC-3 Dolby Digital sound have long adorned laser disc players in America and Japan, but here we've had to make do with 'grey' imports with such facilities - like the Pioneer Elite CLD-99 - which might well set you back more than �500. 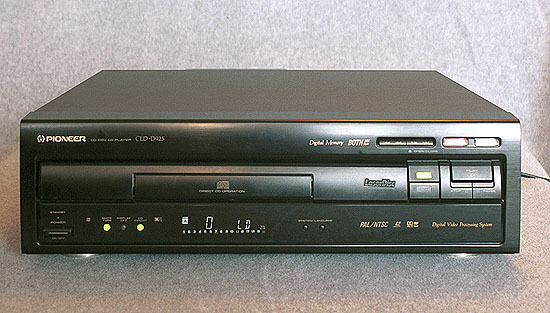 Now Pioneer UK has gotten into the act with a new flagship laser disc player, the CLD-D925. 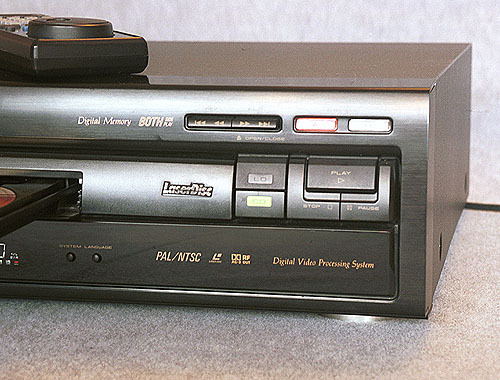 Although intrinsically a budget model in terms of construction when compared to the US Elite, it offers several eagerly-awaited features, including the aforementioned digital frame store, allowing frame-by-frame playback of CLV discs, and AC-3 audio from NTSC discs. And at just �0, the 925 leaves you with money in the bank to buy the AC-3 amplifier you will also need to make the most of your new toy. Pioneer's new baby is considerably smaller than its illustrious predecessor. At just 132mm high it is trim and attractive. The front fascia is dominated by numerous glowing buttons - laser disc and compact disc selection buttons in green, disc side indicators in orange and three smaller green buttons for the Quick Turn mechanism, the HQ circuit and the Display Off control. If you don't like lights the 925 is not for you; the Display Off button merely disables the LED display panel � those other lights go right on twinkling. 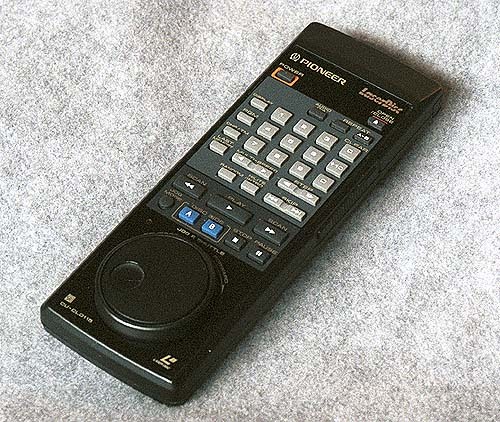 Other front-panel controls include System (for choosing between PAL and NTSC), Language (for onscreen displays), manual search buttons, play controls and a power switch. 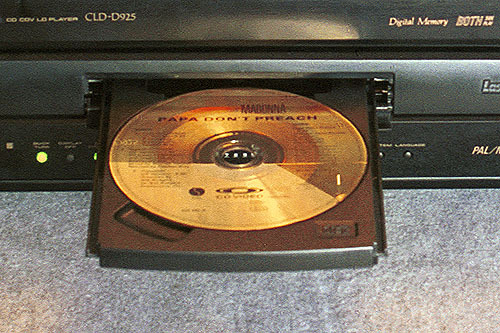 The large disc tray sits atop the LED panel and includes the usual dedicated CD compartment. Around the back are twin Scart sockets, video and stereo audio phono outputs, the all-important AC-3 output and an S-Video output. 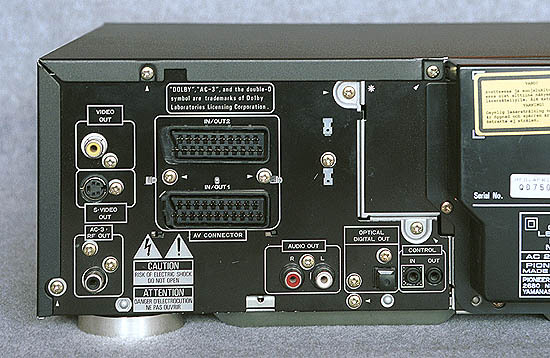 There is also an optical digital output (but no coax digital out). The 925 offers a multitude of playback features to enhance your viewing experience, the most welcome being the digital frame store. This feature brings CLV discs in line with the rarer CAV ones, allowing frame-by-frame analysis of your favourite scenes without needing to have the movie spread over three discs. It also means you no longer have to listen to your big-headed mate boasting about his CAV-encoded Star Wars trilogy. Buy the films for a third of the price and laugh in his face. As well as the freeze frame, playback speed can be one thirtieth, one eighth, half and twice normal speed. The still frame performance isn't as good as that from a CAV disc, but it's a great facility to have. A Last Memory function allows you to stop the disc and start it again at a point just before where you left off- handy for when you have to answer the phone or call your mate to rub it in about the Star Wars discs again. You can also search for a desired scene using the jog-shuttle dial on the remote control. This allows scan playback at up to 30x normal speed. It is also possible to input a time or chapter number and start playback from there. When you find a bit you really like you can utilise the A-B Repeat mode, in which you specify a start and stop point and the 925 happily plays back the sequence over and over again until you see fit to let it stop. The 925 can also repeatedly play back a single side or the entire film. If you really want to, you can play a disc back in random order. 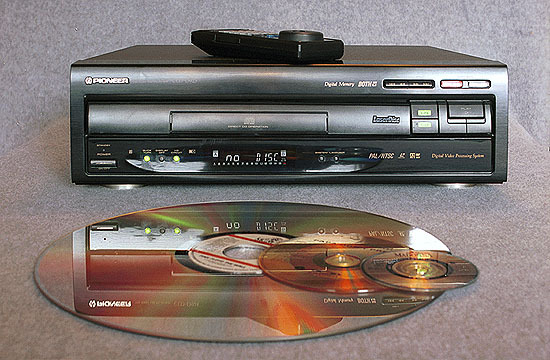 This feature is best applied to CDs, but it could make for a surreal viewing of a movie. Don't bother looking for a headphone socket though. The player hasn't got one. There's no doubt the 925 is equipped to mix it with the big boys. But how does it perform in the acid test? To provide the ultimate challenge, we paired the 925 up with Yamaha's stunning, �700 DSP-A3090 AC-3 amplifier and fed it a pristine pressing of Dead Presidents, an AC-3 NTSC import disc that has 'the year's best soundtrack,' according to the New York Daily News. The 925 whirred into life and the lights were dimmed. What followed can only be described as breathtaking. As dollar bills burned in the opening credits and the theme music pounded out, it was clear that this machine will excite cinephiles in a way no other PAL/NTSC model has been able to before. The picture reproduction is, by and large, immaculate. While the player is built upon the guts of the existing CLD-515, it employs entirely new video electronics. One curious aspect is the rather tortuous route the video processing goes through to get to both the composite and the S-Video outputs (all discs come in composite video flavour). The composite signal retrieved from disc enters the digital domain, goes through the frame-store stage, gets filtered into RGB, and is then converted into separate luma and chroma for the S-Video output. The composite video output is simply the separated chroma and luma of the S-Video output combined. Thankfully, however, this processing hasn't apparently introduced any weird artefacts. The player is able to retrieve an astonishingly high level of detail. Lab tests reveal signal attenuation (strength) at 2MHz of-3.69dB. At the 4MHz frequency, response was tagged at -4.51dB - both good figures. Subjective resolution off our resident test disc was approx. 350 lines - better than figures achieved from the CLD-515, for example. Colour playback is very good, certainly better than the CLD-515. The audio performance is a wow. The sound quality of the AC-3 audition disc made its Pro-Logic matrixed alternative seem flat. Digital frame store. 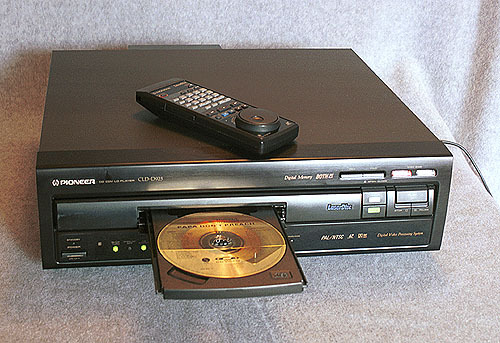 AC-3 sound and superb picture performance mean the CLD-D925 knocks all other UK laser disc players out of the ring with two minutes left in the first round. 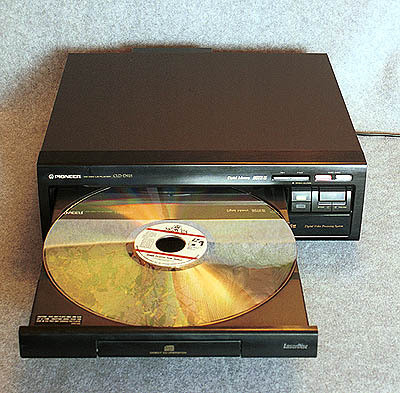 Pioneer's best ever PAL/NTSC laser disc machine! This impression was confirmed when switching between AC-3 and Pro-Logic modes. The first scene of Dead Presidents features a dog barking in the rear sound-stage. In Pro-Logic it was impossible to locate where the sound was coming from, but in AC-3 it was clearly coming from behind my left shoulder. During a graduation party scene, AC-3 turned the wall of conversation in the rear effects speakers into a localisable collection of clearly defined voices. It added hugely to the believability and atmosphere of the scene. But not every film has an AC-3 soundtrack. In fact, only a limited selection do - about 100 at the last count - but most new movies are made in Dolby Digital Surround and the number of NTSC discs carrying an AC-3 soundtrack will steadily increase. Even so, it would be stupid to immediately discount every non-AC-3 disc, because that would discount the entire PAL catalogue. AC-3 will not appear on PAL discs because the format is incompatible with the Dolby Digital spec. We therefore also tested the 925 with new PAL titles Predator and Waterworld, which each highlighted different aspects of the deck's capabilities. Predator showcased some stunning audio ability. There is a scene where a soldier takes a drink from a cut vine in a rainforest. As he drinks, there is a fluttering of wings from the left speaker and he looks towards it. It is a wonderful moment of sonic imaging and demonstrates perfectly how accurately steered sound can enhance a film. The CLD-D925 puts in a very respectable performance on the HCC test bench. A real test of fine detail retrieval is its 4MHz frequency response, which here was measured at -4.51dB. 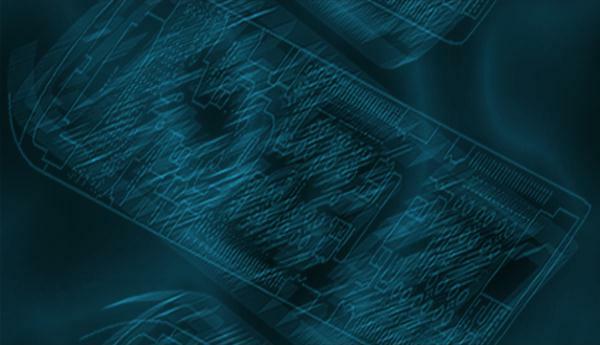 Picture stability is extraordinary, with only 4 nanoseconds of jitter measured in a frame. An audio frequency sweep from 20Hz to 20Khz measured a drop-off of just 2.5dB. Waterworld, meanwhile, boasts fabulous picture quality. Kevin Costner skims over an ocean that looks real enough to dive into, and the 925's performance is at least the equal of the 2950. Over to more mundane matters, the side-turn mechanism takes about eight seconds to change sides and is quicker when the Quick Turn feature is engaged, in which mode the 925 saves time by not checking how many chapters are on the side being accessed. So after all this praise, is there anything worth moaning about? Well, maybe, if you're picky. The remote control could benefit from back-lighting to make it easier to use in the dark, and it really would be preferable to be able to turn off those distracting front panel lights. Other than that, and the fact that the HQ circuit possibly had a slightly detrimental effect on picture quality, it seems churlish to fault this machine. Even if you have no intention of importing AC-3 discs from the States and have no desire to part with �700 for an AC-3 amplifier, the digital frame store may still persuade you to consider this supremely delicious model. If, on the other hand, you import two or three discs a month and already have the Yamaha DSP-A3090 tucked away in your hi-fi rack, or if you haven't yet bought a laser disc player and are trying to make up your mind which to go for, there really isn't any question. Your mind has just been made up for you.